Thank you so much, Sierra, for this awesome angel wings picture! Your new pages for Christopher are so beautiful!! I enjoyed seeing pictures of your little angel that I had never seen before and all the lovely gifts in honor of your beloved son. 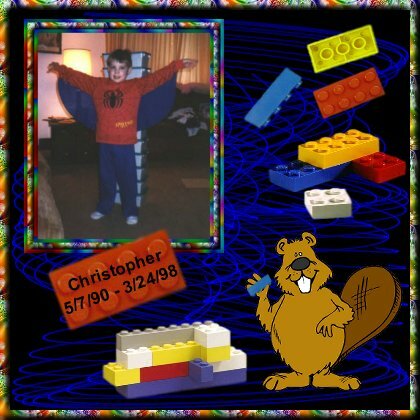 I made a little gift for Christopher, I hope you like it. 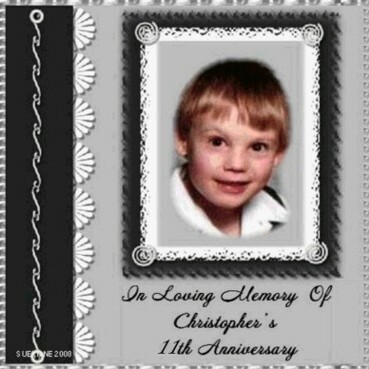 I will be keeping you and your family in my thoughts and prayers as the days approach to Christopher's 11th Heaven date. I pray you have a peaceful day and find great comfort in knowing that Christopher is being remembered by so many of us. Thank you for sharing your precious son with me. You have created another beauty to honor Christopher. My heart holds yours as you approach this lonely day without your beloved Angel. It never gets any easier, does it?? My heart aches as much today as it did 14 yrs ago... and I know yours does too. Thank you to my dear friend Linda for this beautiful gift for Christopher! And the gentle voice saying I love you! You will be in my prayers and thoughts as Christophers Heaven Date approaches. May God Bring Peace and Love each and every day. and God bless everything you touch in the hours, days, and moments still to come. 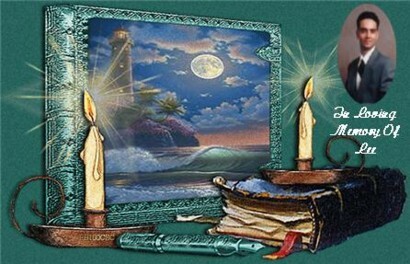 You are in my thoughts and prayers this special day! 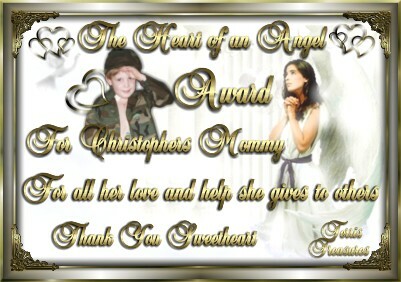 This is a beautiful and loving gift for Angel Christopher from my dear friend, Carol, mom to Angel Michael. Thank you, Jeanine for sending me such a lovely portrait of Christopher! This lovely gift is from my dear friend Lynn. And this beautiful gift is from my dear friend Judy. of Christopher Faller on March 1, 2002. 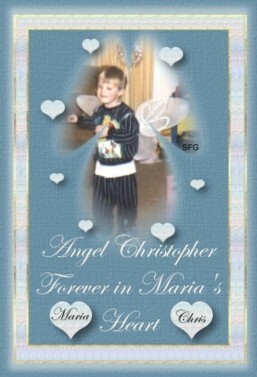 This beautiful angel wings image is a gift from Susie, mom to Angel Jason. Must leave us and the world we know without their radiant light. To brighten up another place more perfect... more divine. And in the realm of Heaven where they shine so warm and bright. Our loved ones live forevermore in God ’s eternal light. that is above on this page. This beautiful gift is from Judi. This globe above is a special gift from my good friend, Beth. Thank you very much! as a gift from Angel Ariel's mommy, Melissa. This gift is given with all my heart. Your ANGEL Christopher will never, ever be forgotton. He will forever be "THE LEGO KID"
I wrote your name on the sky...but the wind blew it away. I wrote your name in my heart...and forever it'll stay.